Karl Friedrich Hieronymus, Freiherr von Münchhausen was a German baron born in Bodenwerder in the eighteenth century. Made famous by the Hollywood director Terrence Gilliam, the baron first came to public attention for his ability to recount outrageously tall tales about his adventures while fighting abroad in the Russian army. Among the astounding feats which legend attributes to him are riding cannonballs and travelling to the Moon. But perhaps his best known marvel is the story of how he managed to escape from a swamp by pulling himself out by his own hair (or by his bootstraps, depending on who tells the story). Which puts me directly in mind of the way some people are now expecting an export-dependent German economy to drag the rest of Europe - and with it the whole global train - up and out of the ditch in which it is currently sunk, simply by exporting to everbody else. Sounds just like one of those tall tales, doesn't it. A very tall one. Not to be misunderstood, there is no doubting the magnificent export achievement of the German economy in the second quarter of this year, just as there is no doubting the fact that it was helped considerably in attaining it by the impact of the Greek debt crisis, which as well as pushing the euro to a comparatively low level also helped the Japanese yen on-and-up towards record highs with the US dollar (the flight to safety), while the dollar itself was pushed back up to levels which were evidently not compatible with a smooth and orderly transition of the US economy back to growth, as can now be seen from the revised second quarter data, since the growth rate is down primarily because of an increase in the US trade deficit. In fact Germany's economy grew by a seasonally adjusted 2.2% in the second quarter (or as some point out, at almost a 9% annual rate). Now good news is always good news, but shouldn't the very magnitude of this number in a global economy which is struggling to find its footing as it moves forward worry us just a little bit? What is the secret of this German triumph - demand elsewhere? Then where does this demand come from? Liquidity flows to Emerging Economies fuelled by low interest rates which are meant to stimulate the developed economies in which they originate? Or fiscally supported stimulus programmes in other developed economies? Is this sustainable? Are Germany's sharp rises and sharp falls in GDP really that desireable? For just as we may now welcome the possibility that Germany's economy is possibly going to grow by some 3% in 2010, we should not forget that it actually fell by 4.7% in 2009, and we have no real idea at all by how much it may rise or fall in 2011, since that in fact depends on decisions which will be taken elsewhere. 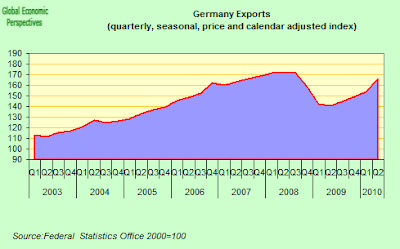 The bottom line is that Germany's economy is now totally export dependent, and as a permanent condition that is not a desireable thing, not even for the Germans themselves, since it makes their livelihood incredibly dependent on global demand, and thus on others. And here we come to one of the striking features of the present situation in Europe, which is that while we have been witnessing a great deal of attention being lauded on the recent German triumph, the French economy has ever so quietly and unobserved been busily recovering at a reasonably steady rate. In fact, if you look at the comparative performance of the two economies over the last decade (see chart below), we find something very odd indeed - at least for the current mainstream discourse - and that is that in GDP growth terms the French economy has easily outperformed its German counterpart. Of course, you cannot make deductions about GDP per capita from looking at crude growth numbers, since the underlying population dynamics also matter. And while Germany's population is now almost stagnant, France's is growing steadily - indeed hypothetically we could postulate that at some distant point on the horizon France will have more inhabitants than Germany. More to the point, France's population will be a lot younger, with important consequences for economic performance. But the key issue at this stage is that France, apart from exporting, also has vibrant domestic demand, and demand is one of the things everyone is short of right now, as we all busily rush to get ourselves out of debt by exporting. The presence of autonomous domestic demand also has important consequences for long run economic stability. And this can clearly be seen in the present crisis. 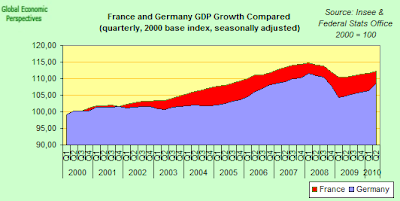 Thus, while in 2009 both economies slumped, the French one slumped by much less (-2.6%) than the German one (-4.7%). Naturally, in the first half of 2010 the German economy recovered much more rapidly than the French one - since there was far more lost ground" to recoup - and the German export sector is highly efficient (far more efficient than the French one) so as global demand recovered the German economy was one of the main beneficiaries. So the bottom line is that the of the 1.5% increase in q-o-q GDP, nearly half (0.7% points) was accounted for by a growth in inventories, while 0.4% was accounted for by a growth in construction which was in part the result of better weather in January and February and scheduled work being advanced (although you can't simply add these numbers since some of the construction work may well have accumulated in inventories), while the net impact of external trade slowed, and household consumption only accounted for 0.2% points. So basically it would be far from in order to announce this result as strong evidence for anything about the Germany economy at this point, other than that the economy resisted a strong slowdown in Q1. The data from Q2 should make all of this much clearer, I think, we will see what gets to happen to the inventories, and we will see what happens to construction. By July the ZEW investor sentiment index (which could be seen as a predictor of economic activity six months forward) had fallen to a 16 year low, and I was forwarning - "what is the recession risk for the German economy?" - at a time when few others were prepared to accept the fact that a serious German recession might be on the agenda. At this point I would not be so categorical. It is evident that Germany might once more enter recession in the fourth quarter of this year, but it is far from clear that it will, since as I keep saying, to forecast what is going to happen in Germany you need to be able to see what is going to happen in the rest of the world, and this is by no means clear at this point. Here I simply want to make the point that the answer to this question is not to be found in Germany, or in anything the Germans themselves may or may not do, but in the rate of growth to be found among their key customers, many of which are now Emerging Economies. This is what export dependence means. Coming back to the present, and Q2 2010, one thing we can say about is that it saw a very interesting confluence of factors. 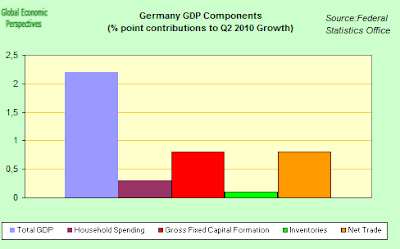 Effectively, if you look at the above chart, all the dials were on green during the quarter, with each of the key components - household spending, capital investment, net exports and construction - all showing growth. A good constellation of stars in alignment then. But this favourable configuration will not, of course, be permanently maintained. 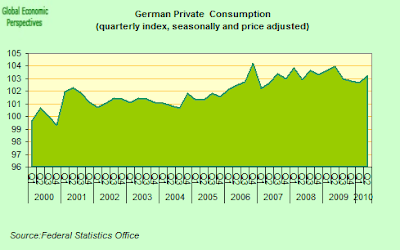 In the first place, if we take private consumption, German private consumption really peaked in the last quarter of 2006 (see chart below) for reasons which have little to do with the recent crisis - the German government raised VAT by 3% in January 2007, and German consumption growth, which was already quite weak, received a final from which it has never really recovered. 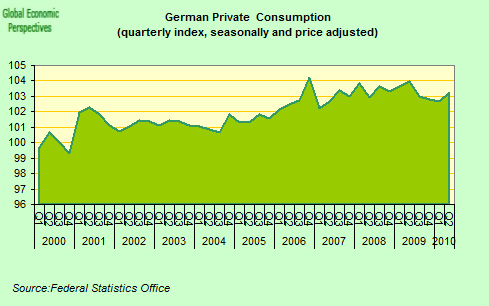 Of course, German consumption hasn't always been weak. 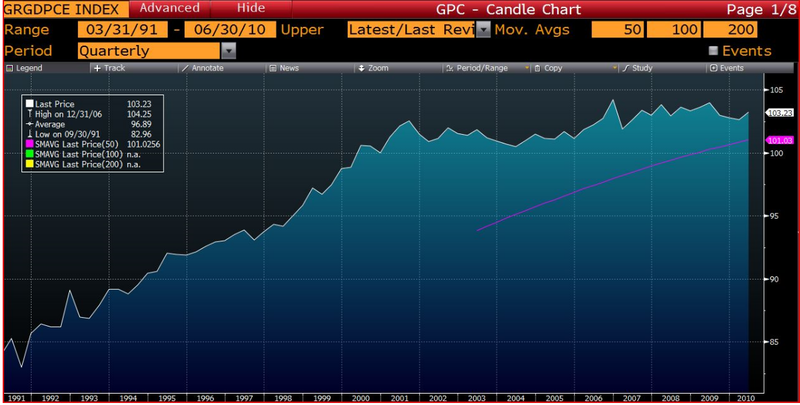 Between 1990 and 2000 it grew rapidly, but then it suddenly "maxed out" as can be seen from this Bloomberg chart. 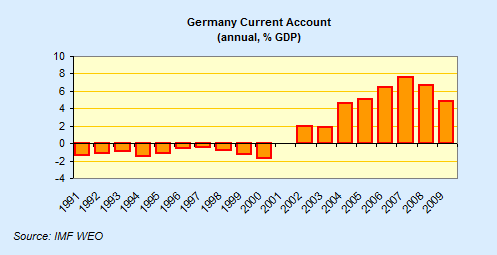 And Germany hasn't always run a current account deficit (that is to say, the high saving phenomenon is not simply cultural). 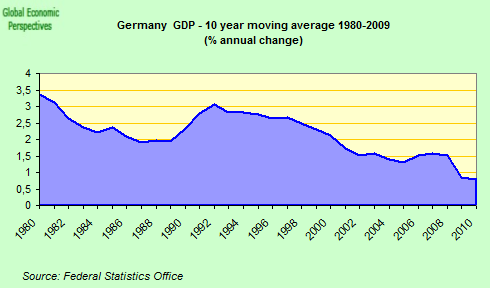 During all those years of strong private consumption growth Germany was, in fact, running a (small) current deficit. Indeed, between 1991 and 2000 Germany did not have one single year where she produced a current account surplus. 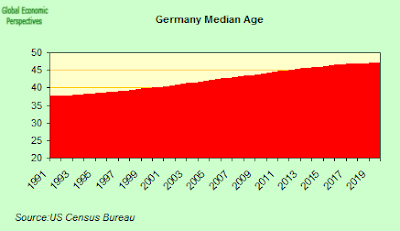 And just what was the median age of the German population in that fateful year of 2000, when the German economy metamorphosised from being a domestic-consumption-driven current-account-deficit one to an export driven current account surplus one? Well you could have guessed it, 40, exactly the age that my rough-and-ready, back-of-the-envelope, home-made model suggests we should find a transformation, or "tipping point". Another favourable factor in Q2 2010 was fixed capital formation, part of which is machinery and equipment (where some investment has taken place), and the other part is construction where, just as in 2008, a number of factors associated with the weather have served to produce an exceptional reading (see chart). Very bad weather in the first quarter lead to an exceptionally low reading, while there was then a stronger than normal rebound in the second quarter. In addition both inventories and net exports were positive. Inventories here are something of the wild card, since the level of inventory building depends on the outlook for sales, so in periods of uncertainty (and none other than Jean Claude Trichet was busy saying in Jackson Hole only last week that we currently living with "a degree of uncertainty in the economic and financial sphere" is "largely unprecedented") these can be quite volatile. I had been expecting a significant increase in German inventories, but this didn't materialise, and we had only a very timid increase. This is hard to interpret, but it could wel be that in Q3 levels will be reduced if the outlook continues to deteriorate and orders don't pick up. Exports of goods and services rose by 8.2% during the second quarter (an annual pace of nearly 35% ) - which was of course a very impressive performance, but so impressive that it is clearly not sustainable. The most important customers for German exports in June (when they were up by an annual 28%) were the rest of the European Union (which accounted for half of the export growth - other people's fiscal deficits and stimulus programmes), followed by Asia (which with contributed 6.9 percentage points to that 28% - or one quarter of the total - to the rise), and half of the Asian contribution came from China. The US only added 2.4 percentage points - or around one tenth - to total export growth. 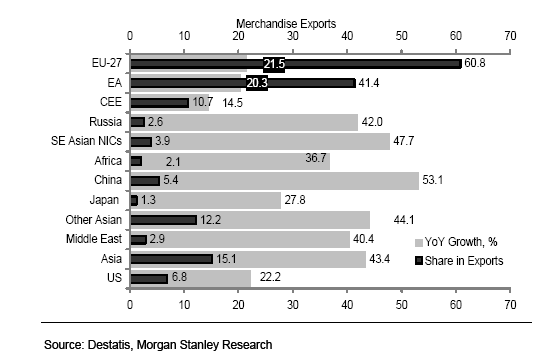 So Emerging Markets now clearly outweigh the Euro Area (which contributed 5 percentage points or one fifth of the growth), as Morgan Stanley's Elga Bartsch makes plain in the chart below. So German export growth at this point in time would seem to depend critically on liquidity flows to emerging markets, and stimulus programmes in developed economies. The liquidity flows depend on the continuation of Quantitative Easing at the Bank of Japan, the Federal Reserve and the ECB, while the stimulus programmes depend on countries not applying the fiscal austerity measures that Angela Merkel herself has been advocating. Thus would our erstwhile Baron drag us all out of that ditch into which we have all so carelessly fallen. "Germany’s sudden rediscovery of its old role as Europe’s growth locomotive brings the continent back to the future. The 2.2 per cent growth spurt is unified Germany’s best-ever performance. It was not entirely unexpected: trade figures early in the week led economists to predict good news from Berlin. But the outcome was almost a full percentage point above estimates, and helped lift the euro-wide rate". "Germany’s feat is a one-off: sustained 9 per cent yearly growth rates are unheard of in rich countries. Slowdowns in China or the US may well throw cold water on exporters. Europe’s industrial production is already flatlining. 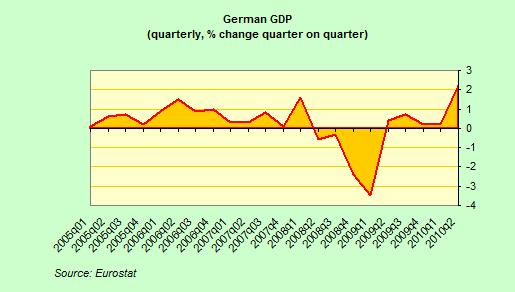 And we must not forget how bad things still are: although the second quarter put German output 4.2 per cent above its low point in the crisis, it is still lower than in 2007". "Germany has outperformed the US, the world’s largest economy, in terms of growth in recent months and the trend is set to be confirmed this week. The German purchasing managers’ indices are expected by HSBC to remain at relatively high levels, while US economic growth is likely to be revised downwards". "Economists say that the slowdown in the recovery in Asia and in the US, and the difficulties in other parts of Europe, could soon have an impact on German growth, which is largely export-driven. However, signs of improving domestic consumer confidence in Germany, and in Europe generally, portray a stable overall scenario". Of course, the data releases did confirm the continuing high level of German activity, and the downward revision in US GDP - although as Valentina Romei meticulously fails to point out, the downward revision was due to a deterioration in the country's net trade position, as more imports flowed in (from where, I wonder?). Curiously, the PMI data she referred to showed France's manufacturing industry expanding more rapidly and Germany's slowing slightly, but I still haven't found anyone speaking of that new French ascendancy as the Gallic locomotive steams ahead, nor any similar such drivel. 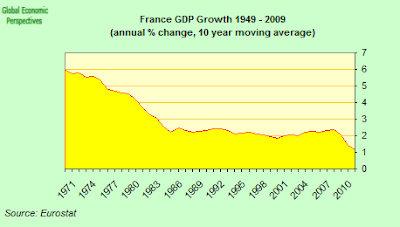 Why The Obsession With The French Deficit? But still, as I say, France's economy is more balanced, and France is running a (smallish) trade deficit, which is arguably marginally more supportive of both European and global growth. The day the German economy runs a current account deficit again, the very same day the economy will start to fold in on itself, and that's one robustness test it is sure to fail. Christine Lagarde, French finance minister, on Sunday hit back at critics of the government’s plans to meet its deficit targets, accusing markets of failing to give Paris credit for two years of reform. Speaking to the Financial Times after the government last week reduced its forecasts for growth next year from 2.5 per cent to 2 per cent, Ms Lagarde denied the new estimate remained overly optimistic. “It is realistic and prudent,” she said, adding that even if the market consensus of 1.5 per cent growth was revised upwards, it would “not grant much credit to the reforms we have implemented and to the added flexibility in the economy”. France had been criticised by the International Monetary Fund and the European Commission for basing its pledge to cut the deficit from 8 per cent to 6 per cent of gross domestic product next year on unrealistic growth forecasts of 2.5 per cent. Look, sometimes I have difficulty believing what I am reading here. 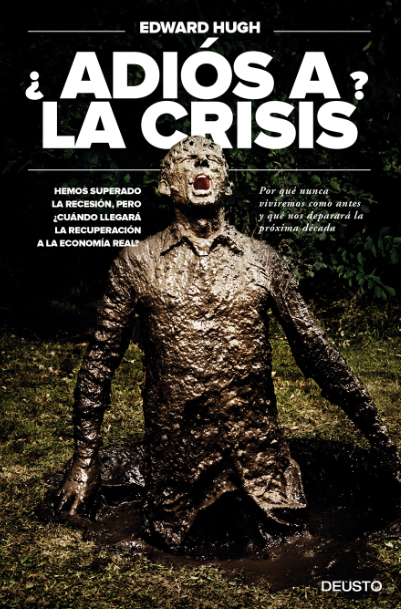 This "criticism" coming from an IMF and and EU Commission who are more or less swallowing wholesale the most ridiculously optimistic growth forecasts from the Spanish government, who evidently also have a much higher level of deficit, and a much more serious economic situation to contend with is almost beyond belief. Is so little macroeconomics understood out there? To be explicit, I have no interest in defending either of the main French political parties, or the current state of the game in the French labour market, or even the absence of reform in the French pension system. But why, just now, are we seeing all this pressure on Christine Lagarde, and by implication, of course, on Nicolas Sarkozy. Why is almost everything we here about what is going on in France negative, and why does no one ever value the point that, at least in terms of family friendly economic policy they are streets ahead of most other Euro Area countries. Do people imagine that this doesn't matter, and that you can blithely go forward funding generous pension systems whatever your elderly dependency ratio? Just one little detail. Dominique Strauss Kahn is head of the IMF, and a potential candidate for the French presidential elections due next year: there couldn't possibly be more than meets the eye going on here, could there? (What a wicked mind I have). 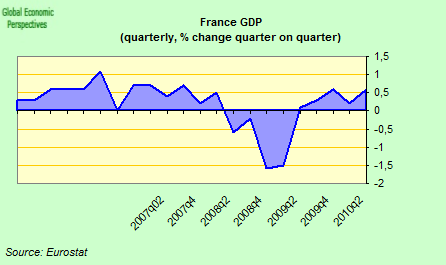 To speak plainly, if we make the sort of assumptions which are being made about recovery in all other Euro Area countries, then I personally don't find a 2.5% growth forecast for France in 2011 particularly exaggerated. 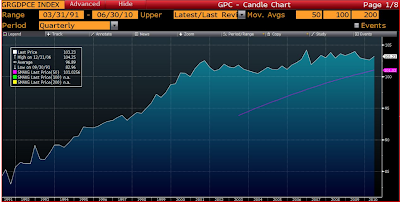 Of course, if there is a global double dip, and renewed financial stress, then all bets are off. But this applies to everyone, so why single out France? Why are countries like Spain, Hungary, Latvia etc being cut so much slack in the generosity of their forecasts, and France being castigised so? I mean, if we look at the chart below, France's long term growth rate is quite stable, and somewhere around the 2% mark. And if we assume that ECB interest rate policy is going to remain accommodative in 2011 (a reasonable assumption when we look at the number of patients in the "intensive care" ward), then 2011 could easily see French growth slightly above par. On the other hand Germany's long term growth rate has been falling steadily since the early 1990s, and the ten year average in 2010 is something like 0.8% a year, which is more or less Germany's sustainable trend growth rate at this point. "The bailout of Germany’s banking sector may swell the country’s public debt rate to 90% of gross domestic product, Die Zeit weekly newspaper reported on Wednesday. The weekly based this estimate on a recent decision by Eurostat requiring Germany to include the balance sheets of public-owned bad banks — set up to help financial institutions offload toxic and non-strategic assets — into its overall debt ratio". This situation is getting surprisingly little coverage. And of course, we could see more situations like that of WestLB and Hypo given the extent of German bank exposure to the Spanish debacle. In fact, the underlying demographic pressure on Germany's very expensive pension and health systems constitutes a serious long term worry about a debt to GDP level which is now creeping dangerously near to the 100% threshold. And people have short memories. Back in 2008, in the early days of the current economic crisis, Chancellor Angela Merkel's bi-party cabinet pushed through a 1.1 per cent increase pensions. The increase, which included a further 2 per cent rise for 2009, had an estimated cost of €12bn by 2013 - a cost which will largely be borne by companies and younger people via higher insurance contributions. Then in 2009, the very same cabinet adopted a permanent ban on pension cuts, effectively shielding the country's 20 million pensioners (who might have faced old-age benefit cuts starting this year) from the effect of the economic crisis. But given the extremely low German long term birth rate, wouldn't it have been better to shield some of those young couples who want to have children from some of the negative effects of the crisis in a way that enabled them to push the up the number of children the country has. Isn't it better to invest in the future, than invest in the past? Naturally the move shocked German public finance economists, who were worried that Berlin's precipitate partial dismantling of decade-old reforms in the social security system could leave future governments facing painful choices between drastic benefit cuts or further tax and contribution increases to finance the weakened system. "We had almost fixed the pension system. 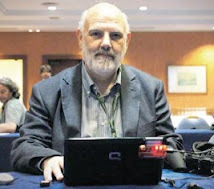 We had made it demography-proof and business-cycle-proof," Bernd Raffelhüschen, professor of economics at Freiburg University, said at the time, "In fact, we had a buffer. 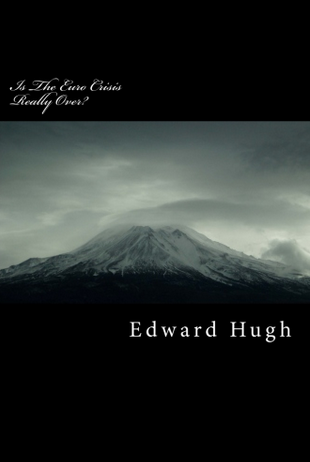 The pension system could have gone through the crisis. Now we are back to the drawing board." "What the government did decouple pensions from wages," according to Karl Brenke, a labour market expert at the DIW economic institute in Berlin. "This is something no government had been irresponsible enough to do for the past 30 years." Since 2001 the value of benefits that German pensioners receive had been indexed to wages. But last year's move broke the link and means pension payments will only ever go up, removing the mechanism that would have reduced payments if and when contributions to pension funds are reduced. The only way to compensate for this is via tax hikes (not VAT again, please!) or increased contributions, the main burden of which will fall on the countries ever less numerous younger population cohorts. Gerontocracy anyone? In conclusion then, my intent here is not to mount some sort of "anti German" diatribe. Far from it. It is to mount a diatribe against a discourse which seems to me to be extraordinarily biased, and extraordinarily short sighted. German economy and society is facing long term issues and long term problems which it seems to me need to be addressed now, and not ignored by deflecting attention onto France. That German output levels are far more volatile than French ones, is not opinion, it is fact. Fact which unfortunately is all too likely to find itself confirmed yet one more time as we approach the end of this year. Too Soon To Cry Victory?